Hamidi, F., Baljko, M. Rafigh: A Living Media Interface for Speech Intervention. Proceedings of the 32nd Annual ACM Conference on Human Factors in Computing Systems (CHI '14). 2014, 1817-1820. New York: ACM. Available Online. 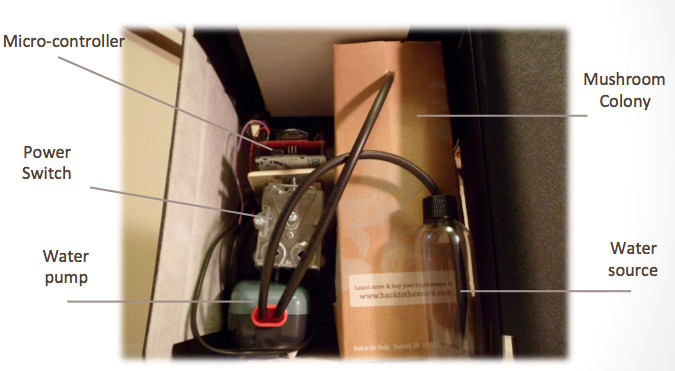 Hamidi, F., Baljko, M. Rafigh: A Living Media Interface for Learning Games. CHI'14 Extended Abstracts on Human Factors in Computing Systems (CHI EA '14). 2014, 407-410. New York: ACM. Available Online. Hamidi, F., Baljko, M. Rafigh: An Edible Living Media Installation. Proceedings of the 8th International Conference on Tangible, Embedded and Embodied Interaction (TEI '14). 2014, 345-346. New York: ACM. Available Online. Rafigh is a digital living media system that is designed to support speech language intervention for children with disabilities. I developed and evaluated it for my PhD Dissertation research. Rafigh motivates children to use more speech language intervention exercises at home. 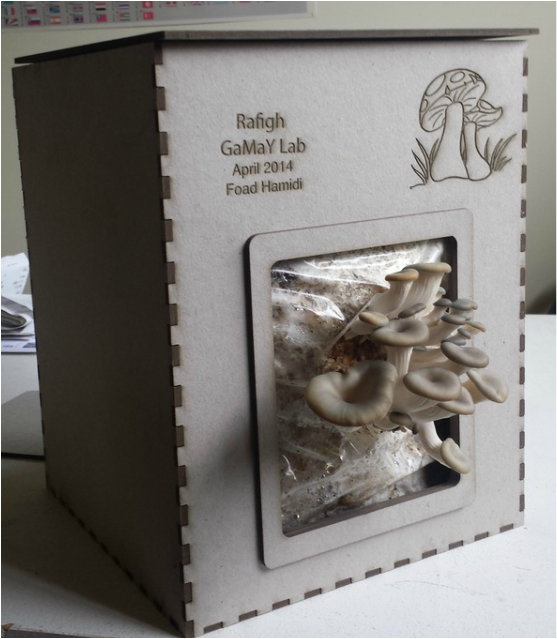 In response to regularly completed therapeutic and learning exercises, it provides positive feedback in the form of live fast-growing mushrooms. It consists of a living mushroom colony connected to an automated irrigation system. The amount of water that is administered to the mushrooms is correlated to children's use of therapeutic and learning applications. The more the children use these applications the faster the mushrooms will grow. User evaluations showed that Rafigh motivated children to use target applications and created empathy and responsibility towards the mushrooms in them. Additionally, using Rafigh supported collaboration and communication between children, their parents and siblings. Please watch the following video to see how Rafigh grows over several days.